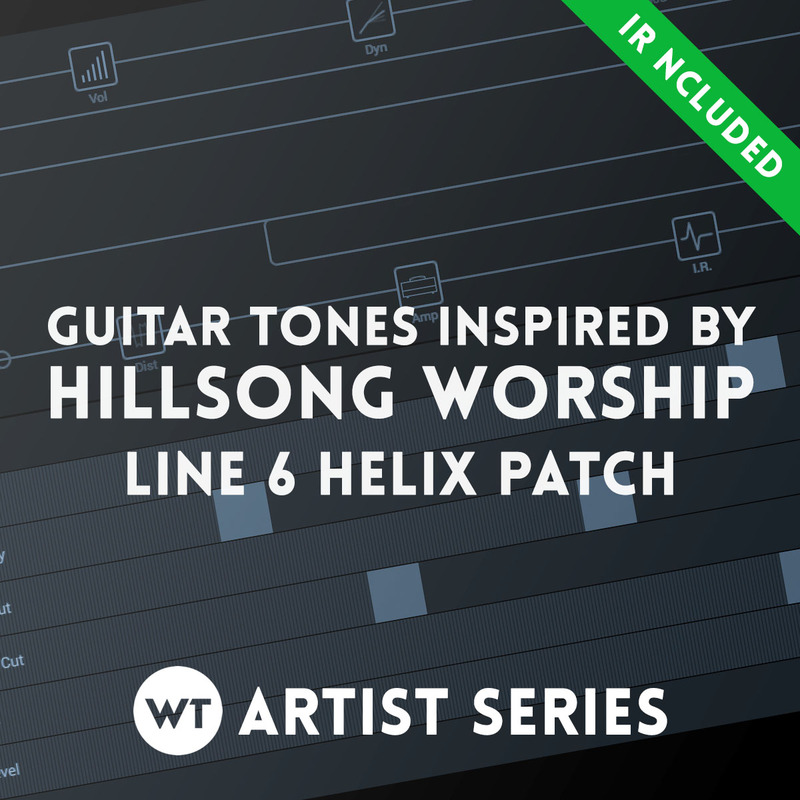 This patch re-creates the sounds made popular by Nigel Hendroff of Hillsong Church (Hillsong Worship). We built it out based on a number of references to Nigel’s board and amps. 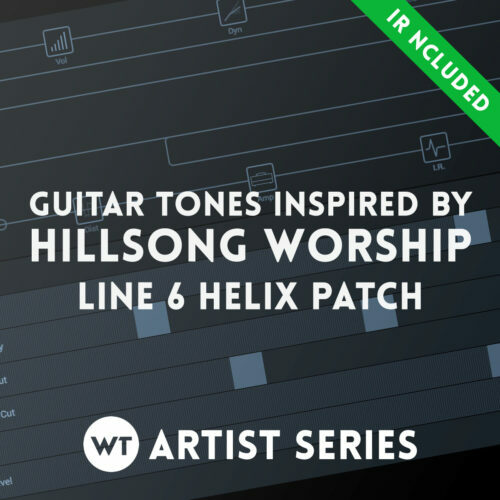 We feel this patch sounds great on just about any Hillsong Worship song, and works with a wide variety of different guitars and pickup types. The two amps in this patch are panned stereo, which creates a unique sound. TJ 17 GOLD 7B (TOP ROW) . In our Helix, it’s in IR slot 25 (this will always correspond with the number after ‘TJ’ in the file name). TJ 32 MATCH 30 R121+906 (BOTTOM ROW) . In our Helix, it’s in IR slot 30 (this will always correspond with the number after ‘TJ’ in the file name). Gain – mapped to button labeled ‘Boost’ – this gives you a pure volume boost for solos. This patch is meant to be used in stompbox mode or snapshot mode. We recommend setting up your Helix to use all ten stomps. The Helix LT does not allow 10-button stomp mode, so you’ll have to re-arrange the button assignments to suite your preferences. The amps are panned hard Left and Right, which gives you a unique (and huge) tone if you are able to run stereo. Many of the wet effects run into the front of the amps. Feel free to stack drive pedals for bigger sounds. All three one at once will give you a lead/solo tone. We used the Brit Plexi Nrm preamp to simulate the tone of the Plexi setting of the Scarlett Love OD, which is Nigel Hendroff’s signature overdrive pedal. Snapshot 1: CLEAN. Clean tone. Snapshot 4: P&W LEAD: Big drive with boost, delay, and verb. Snapshot 5: CLEAN AMBI – Ambient clean tone. Snapshot 7: ROCK LEAD – Big drive with boost.